If you’re anything like me, there are as many gifts for your dog under the tree as there are for your friends and family. We love to spoil our pooches, and there’s no better time than Christmas to show our pups how much we love them. 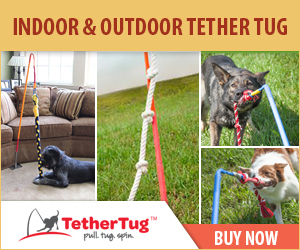 Our furry friends are pretty easy to please, but that’s no excuse to settle for the usual stuffed toy, ball or rope tug. Why not think outside-the-box this year and give your pooch something extra special. A gift that won’t be swallowed up by all the other toys in your dog’s toy box and forgotten after a few days! Think new and fun experiences your dog has never encountered before. And that doesn’t have to mean expensive either. 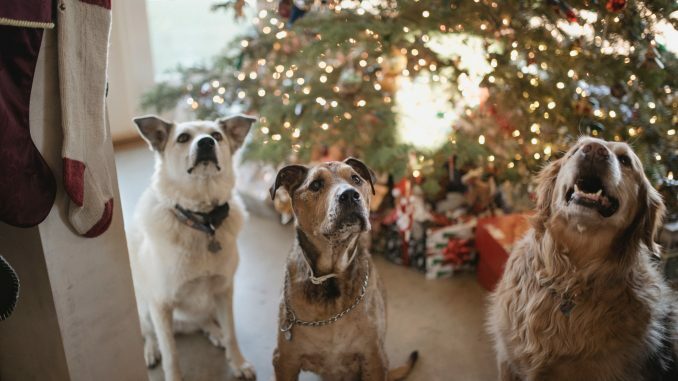 This gift guide of Christmas presents for dogs should give you a few great ideas that won’t break the bank, and give your pooch one hell of a Christmas holiday. Ball pits aren’t just for kids! If you have some open floor space in your home, this ball pit will provide hours of fun for your dog. 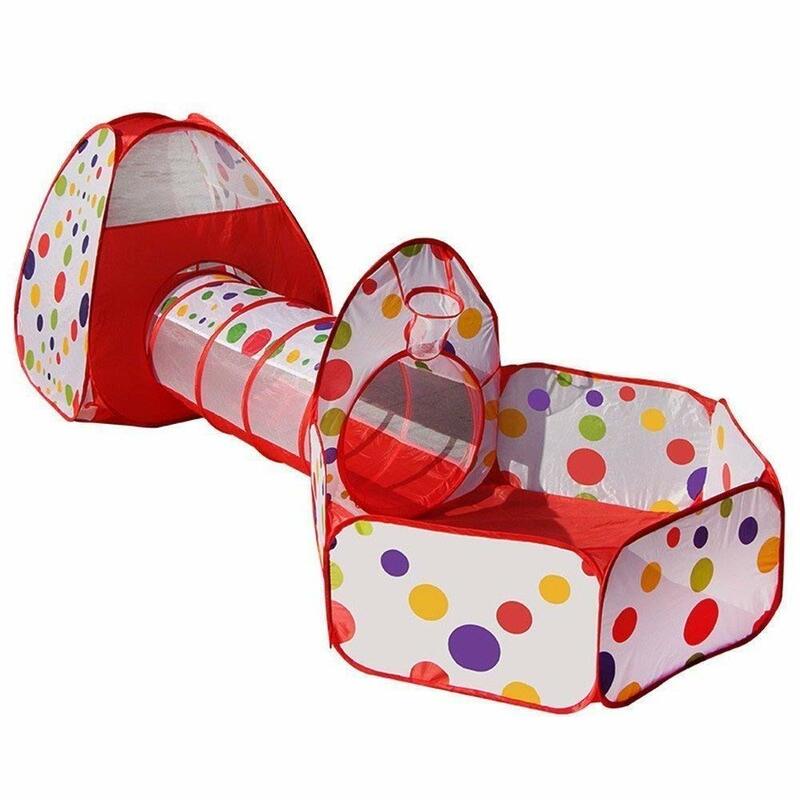 I love that this ball pit also comes with a detachable tent and tunnel too, giving your dog other areas of interest to explore. You can throw a few treats in to encourage your dog to forage amongst the balls, turning this into a neat game of find it. This would also be ideal for the garden in the spring and summer months. It would give your dog a cool, shady place to relax in the hot weather. The entire construction can be folded away neatly into a small bag to store away when not in use. Unfortunately this option doesn’t come with balls (as most don’t), but you can buy a pack of 200 to fill the ball pit here. This is one of Loki’s favourite brain games. 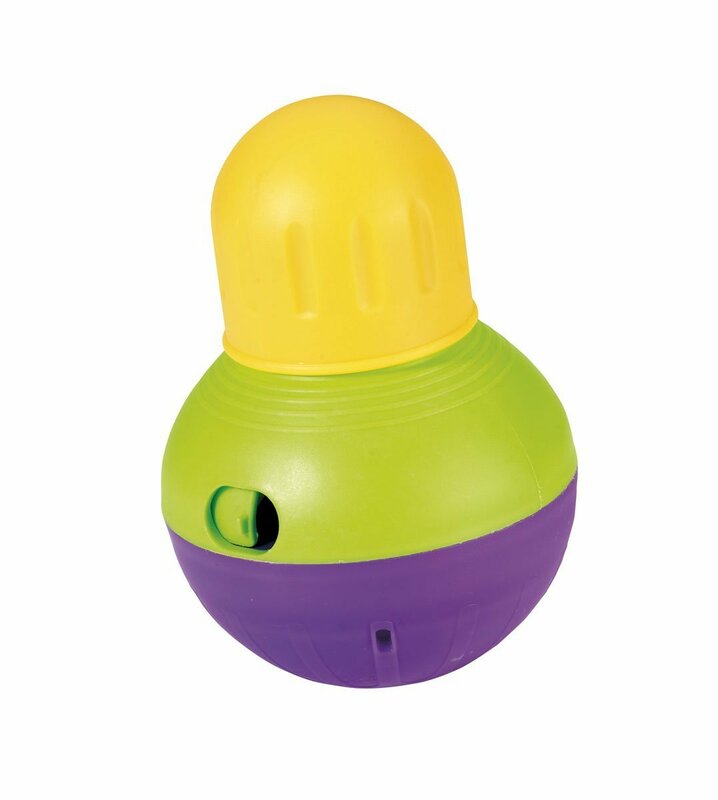 The Trixie Memory Trainer is a battery powered treat dispenser which activates when your dog pushes a button. 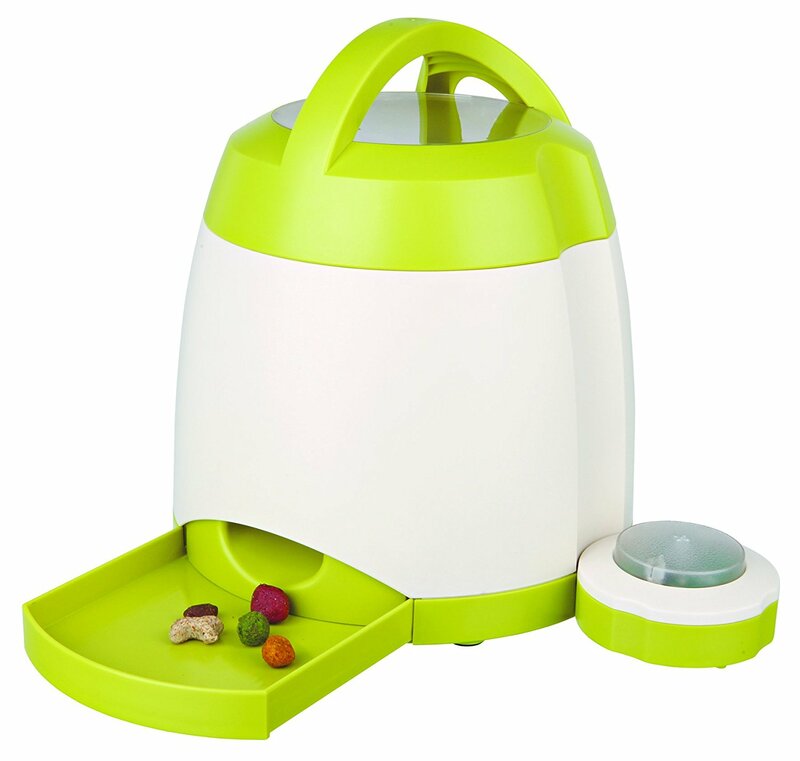 You can move the dispenser away from the button by up to 40 meters, making this a great mental challenge for your dog. Eventually you can, for example, leave the button downstairs in your home and hide the dispenser upstairs. Your dog will need to remember where both are and what they need to do to release the treats. But initially you’ll need to start small and teach your dog how to play. Then when they get the idea you can slowly make it more and more challenging. Batteries are not included and you’ll need 3 AAAs and 4 C batteries. Another one of Loki’s favourites is the Bob-A-Lot. 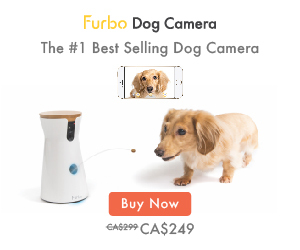 This is also designed to get your dog’s brain working to release hidden treats. When your dog nudges the toy it will rock and roll around the floor dropping treats through the opening. It can hold a decent amount of food and comes in a large and small size. You can also adjust the size of the opening to make it more challenging for your dog. It keeps my Loki busy for a solid 10 minutes when filled up, and provides a great mental workout. We bought the Mad Scientist fairly recently and Loki was strangely scared of this one to begin with. But after some gentle encouragement, she now loves it! There are three containers on a pole and your dog will have to spin the containers to release the treats. It comes with two different sets of lids to increase the difficulty of the game. It’s the perfect size for my dog, but larger dogs may need a helping hand. I’ve seen bigger breeds play with it and you may need to add some extra weight to the base, or hold it while your dog plays to prevent it from falling over. Just something to bear in mind if you’re interested in this toy. This interactive dog toy is simply adorable. Great for satisfying your dog’s prey drive. My dog can’t get enough of chasing squirrels in the park, but this is a great family-friendly alternative! 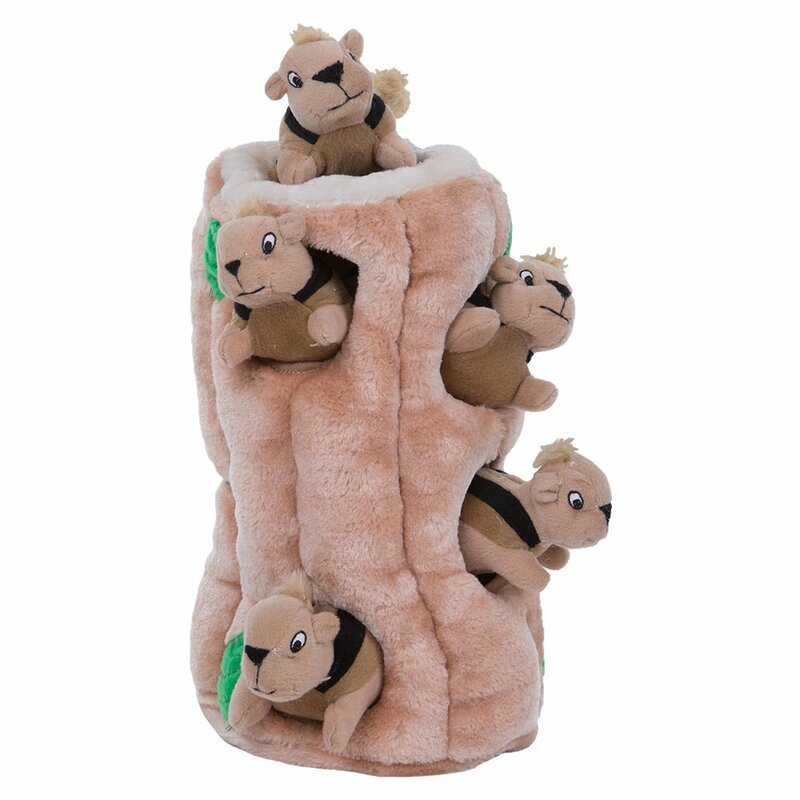 Simply push the squirrels into the holes on the trunk and watch while your dog has a blast pulling them all out. Then lather, rinse, repeat. The toy comes in a range of different sizes. We have the “large” size with three squirrels which is perfectly fine for a small dog. Larger breeds may better appreciate the “Jumbo” or “Ginormous” sizes. 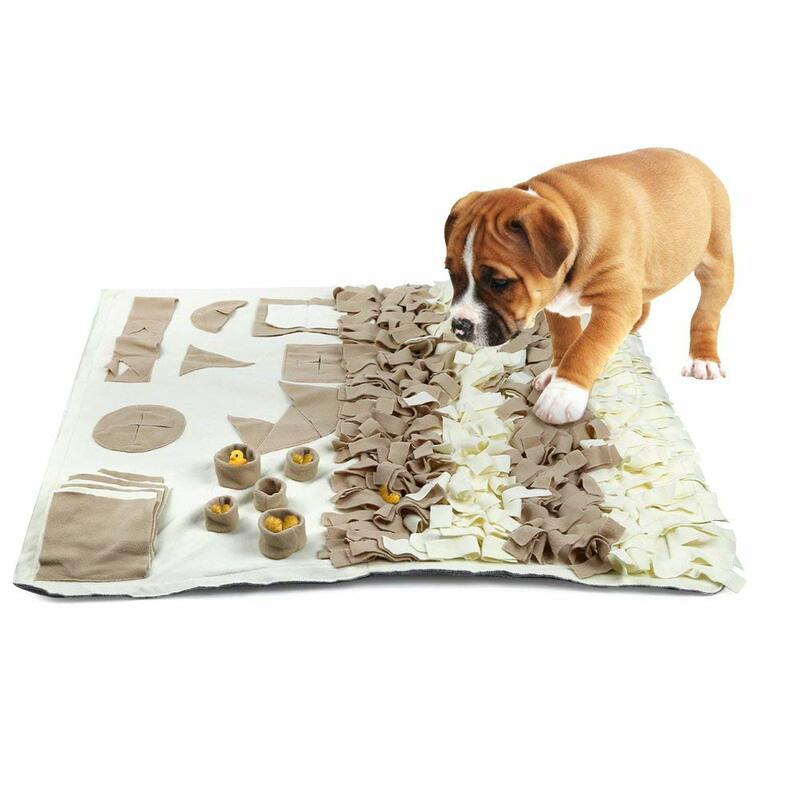 This activity mat is ideal for training your dog’s sense of smell. 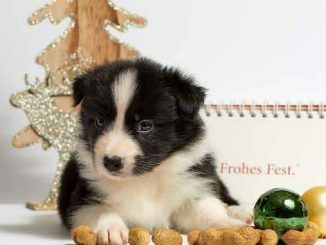 It has various different elements to encourage foraging, making your pooch use their mind and nose to hunt down all the treats. 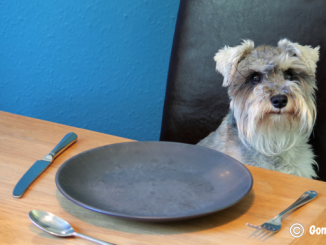 It mimics how dogs naturally forage for food in the wild, keeping your dog both mentally and physically stimulated. 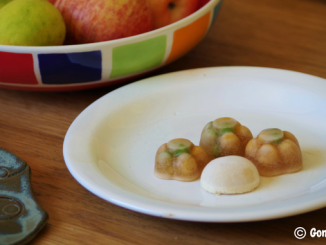 This game has lots of interest and places to hide treats to keep your dog entertained this festive season. It comes in three different sizes and two different colours. A delightful Christmas present for dogs and makes my own wish list for Loki this year. Most dogs love catching bubbles. 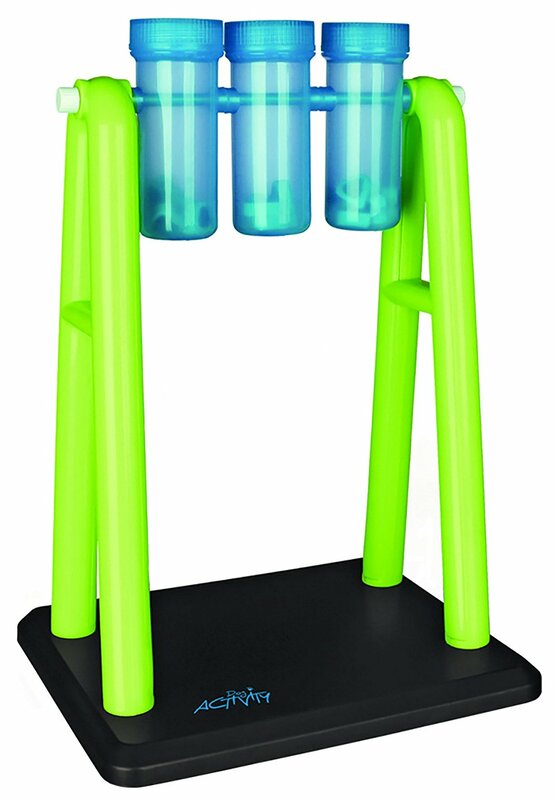 This bubble machine will provide hours of mental and physical fun for your dog. And you’ll be thoroughly entertained too watching your dog leap and snap to catch all the bubbles! This machine does come with liquid, but it’s unlikely to be safe for your dog to ingest. Instead, use a dog-safe liquid like this bacon flavoured one. 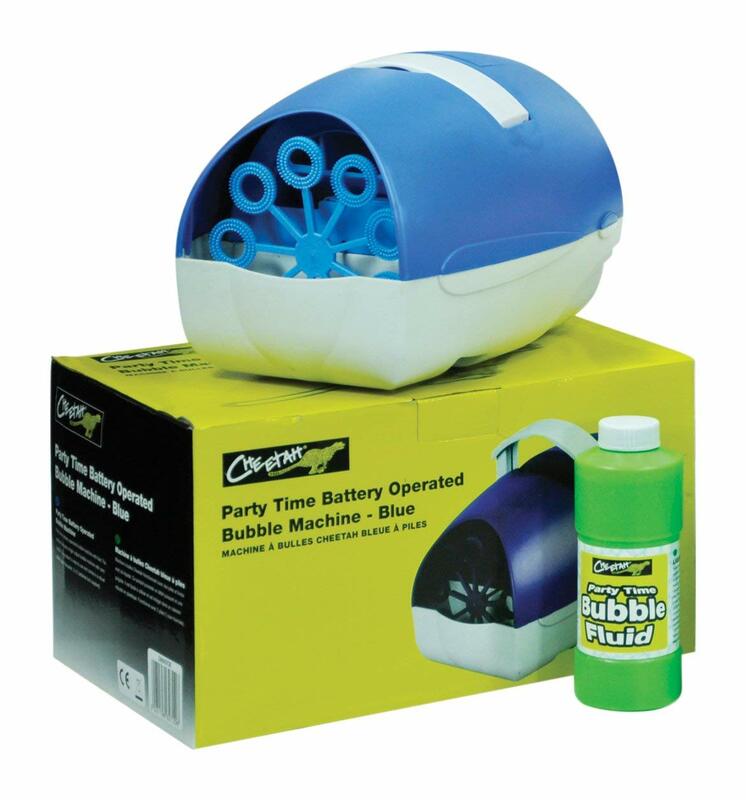 This bubble machine is battery and mains powered for bubble mania on the go. Great if you want to keep your dog entertained while you have guests around this festive season. 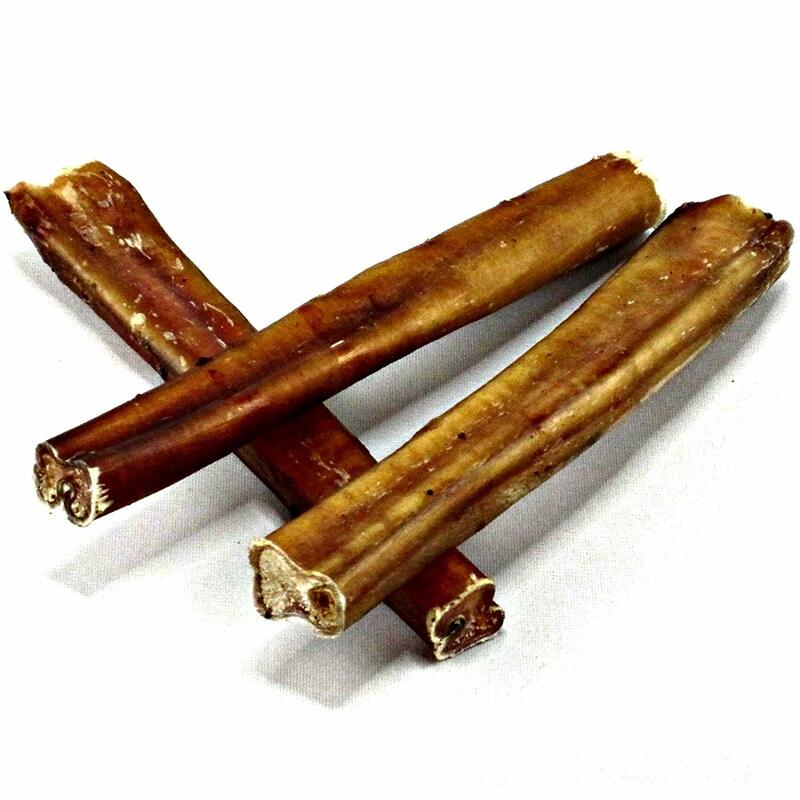 Bully sticks are a brilliant Christmas present for your dog because they’re both low-fat and long-lasting. 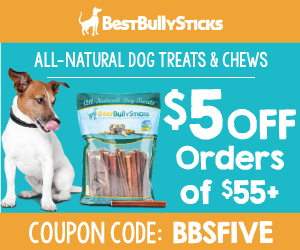 If you’re busy in the kitchen preparing for guests, a bully stick will keep your dog occupied and out from under your feet. They’re entirely natural with no additives or preservatives, making them one of the healthiest chews you can offer your dog. And with all that chewing, they’re also great for maintaining healthy teeth and gums. My Loki absolutely loves these, but because they’re quite expensive, we only give them as an occasional treat. But they’ll no doubt grace her stocking this year. A lick mat is simply a rubber surface with grooves and ridges. You smear food such as peanut butter or cream cheese onto the mat and your dog can spend the best part of an hour licking it all off. I bought this version with suckers on the back so I could stick it places to keep Loki still. She’s not hugely keen on bath time, but having this stuck to the side of the bath keeps her calmer. I also groom Loki myself and this really helps on the grooming table. 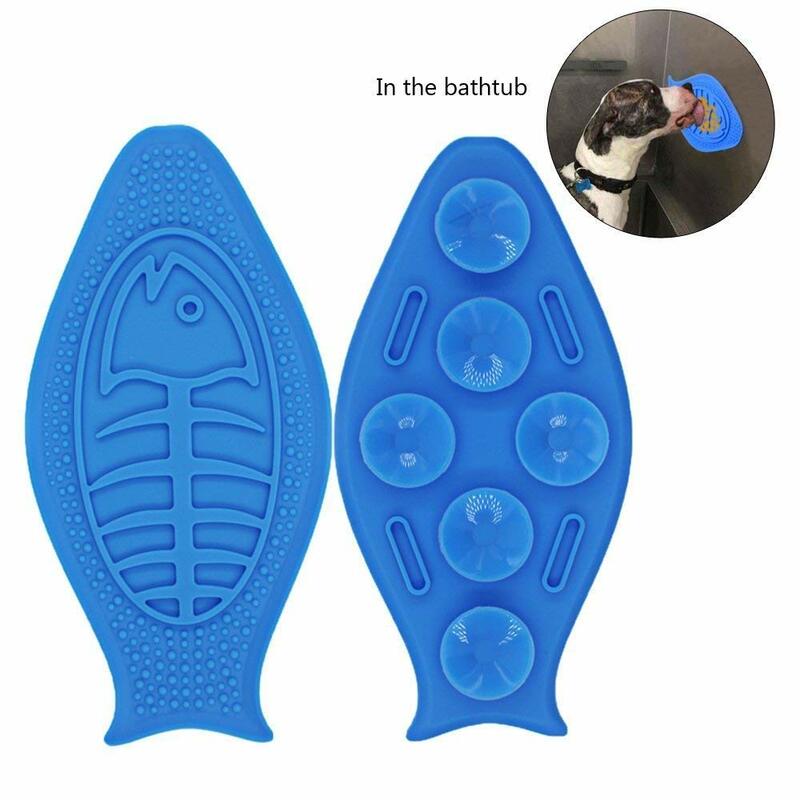 So if you have a dog that fidgets at bath time or when they’re having a brush, this can really help keep your pooch still and relaxed. Or just offer as a delicious treat! Christmas wouldn’t be Christmas without a festive jumper. And what better way to include Fido in the celebrations than giving them their very own jumper to sport on the big day. Of course, always ensure your dog is happy wearing clothes before purchasing. Not all dogs tolerate being dressed up and you could have a very unhappy pooch around the festive period. Nobody wants that! 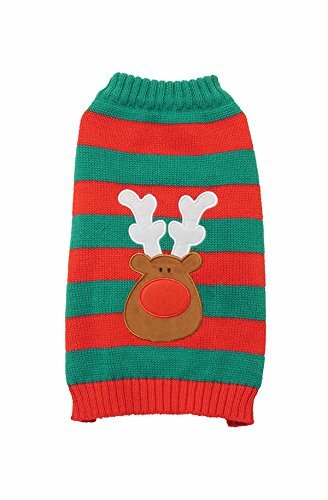 This doggy jumper is simply adorable and comes in three different sizes. Now your family Christmas is complete! 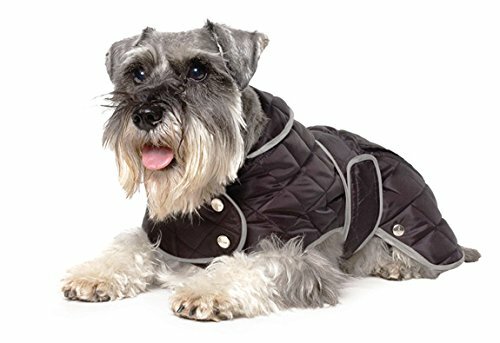 With all the cold, wet weather this time of year, a new swanky jacket would be an awesome Christmas present for your dog. This coat has a lovely quilted design, it’s waterproof and comes in five different sizes. So you’re guaranteed to find the right size for your pooch. It also has reflective features to keep your dog safe and visible for those night time strolls. 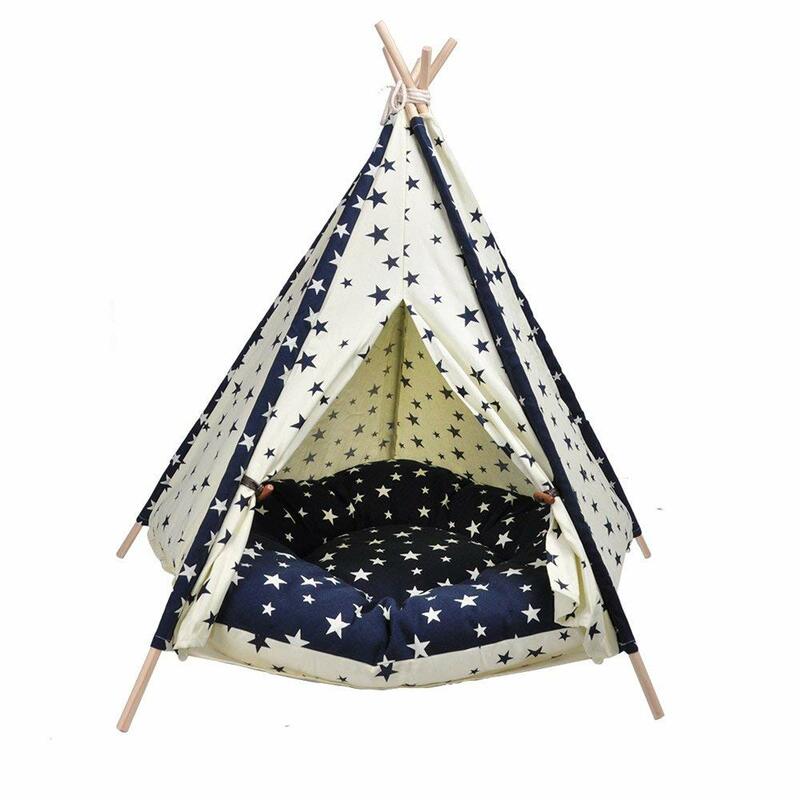 Give your dog their very own hide away with this beautiful tepee. Dogs love to snuggle up in den-like spaces – it helps them feel protected and secure. I must admit, I’ve had my eye on this one to go in my loft space for a while now. It comes in two sizes, but really, both are only suitable for smaller dogs unfortunately. The cushion inside is sold separately, but you could easily just add your dog’s current bed. Or make your own with my DIY easy no-sew dog bed. This gorgeous starry tepee is super easy to put up with just five wooden poles and a cotton canvas. A pretty feature for any living room. 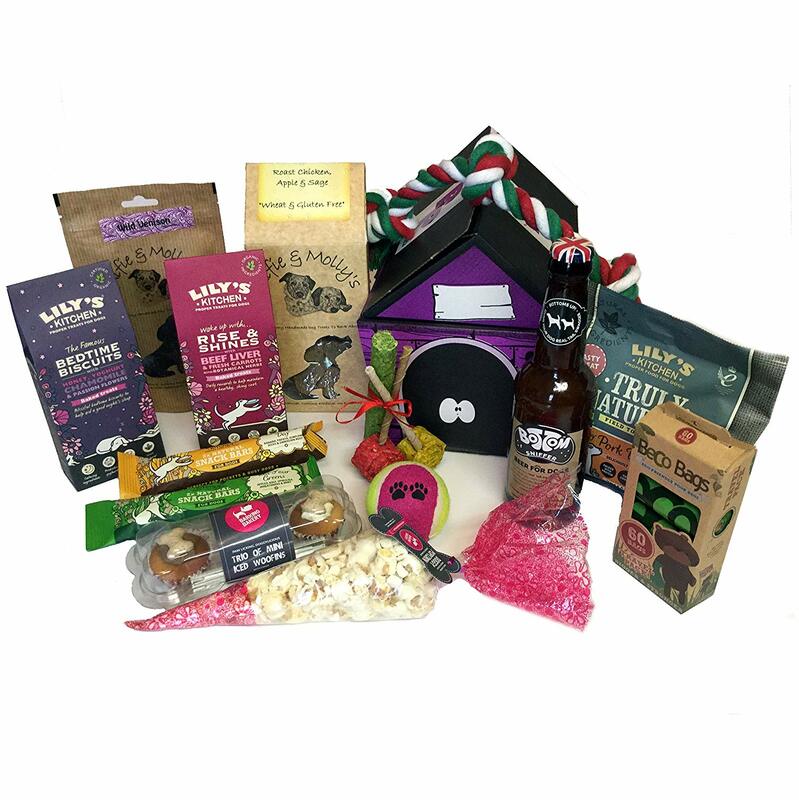 I love this Deluxe treat hamper because it’s a ready-made selection of delicious treats and toys for your dog. 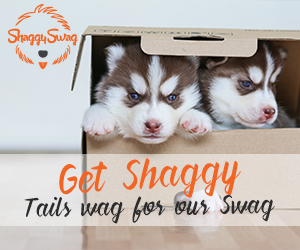 There’s no fussing about trying to think of what to buy your pooch – it’s all done for you. And the treats are all-natural and gourmet for that special touch at Christmas. There are 10 different treats, a doggy beer, two toys and an adorable box to store all the goodies. I can be quite particular about what I feed my dog, but you can see these treats are made with quality, natural ingredients that are healthy and nutritious. With so much to choose from your pup will be one spoilt pooch this Christmas. Antlers are as robust as they come in the world of dog chews. These particular antlers come from Red deer and Fallow deer from the Scottish Highlands. 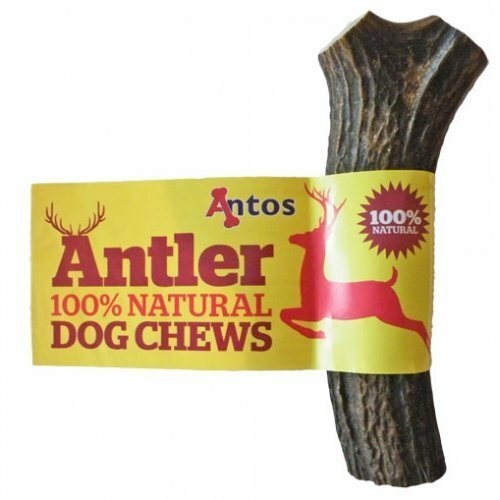 They are an entirely natural chew, and when I say they’re long lasting, my Loki still has the same antler from puppyhood which was around two years ago. And it barely has a scratch on it. They’re full of minerals and calcium, and are a good way to clean and strengthen your dog’s teeth. An antler is a great stocking filler for your pooch and a must-have Christmas present for dogs. A flirt pole is a fantastic interactive toy for you and your dog. It provides a great mental and physical workout as your dog tracks and chases the end of the toy. 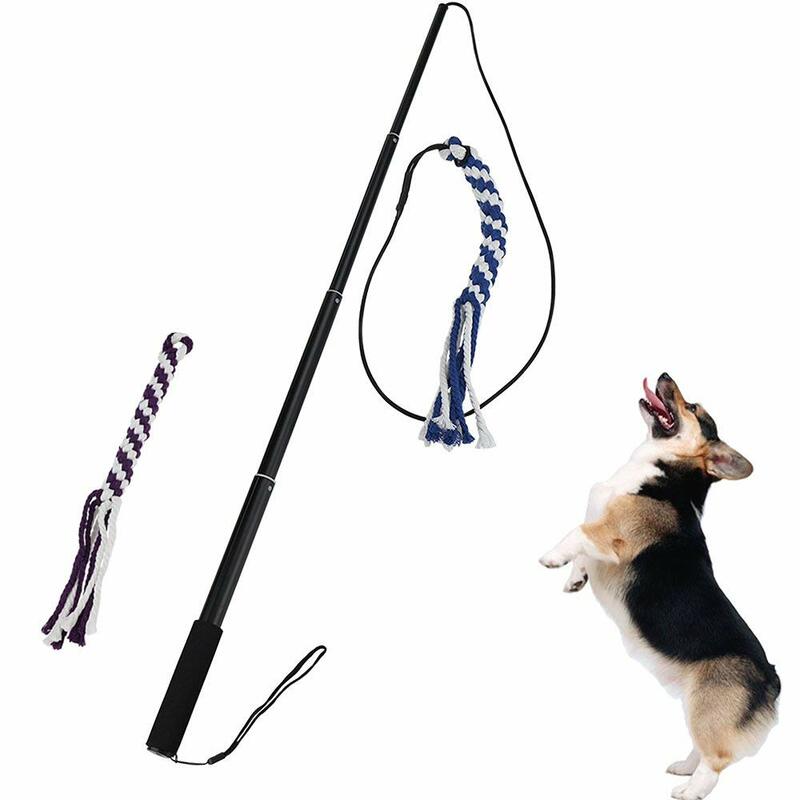 This flirt pole has a sturdy rope for aggressive chewers and it comes in two different sizes to suit your breed of dog. It can also be an effective training aid to teach your dog impulse control. The great thing about this pole is it collapses right down. So it can easily be stored away when not in use. You also have two additional ropes as replacements if the original breaks. My dog wants a new coat for Christmas. We moved from San Diego to Montana and he has short fur. I’m looking at that Bob a Lot toy because it looks tough. Remy can destroy all toys except the black Kong’s. Haha. Hi Lindsay, yes, the bob a lot is pretty indestructible, even for the most destructive dogs! Hope you find a nice warm coat for Remy this year. 🙂 The one I’ve listed comes in a few different sizes if you like that style. Really great suggestions. Our big dogs may destroy a few of these, but I really love the puzzle toys. And the lick mat is too cute, I’ve never seen that before! Thanks Debi, glad you liked them! Yes, the teepee and ball pit probably wouldn’t be suitable for larger dogs but as you say, the brain games, lick mat and flirt pole would be perfect. I think that teepee house is one of the cutest things I’ve ever seen. I think that, the ball pit, and most of the food puzzles would work well for cats too. That was my first thought when I saw the teepee too Holly. Too cute! You’re absolutely right, most of these would be great for cats too. Wonderful ideas! I love the mad scientist though I suspect Ruby would be afraid of it at first. I have always wanted one of the teepees! We do always give her an antler chew in her stocking. The lick mat looks fun too. Thanks Maggie. Yep we’ve got our eye on the ball pit and teepee too this year. I can imagine the ball pit would provide hours of entertainment! Would be brilliant for the garden – just waiting for this winter weather to pass! Absolutely! Glad you liked them, definitely perfect for little kitties too! 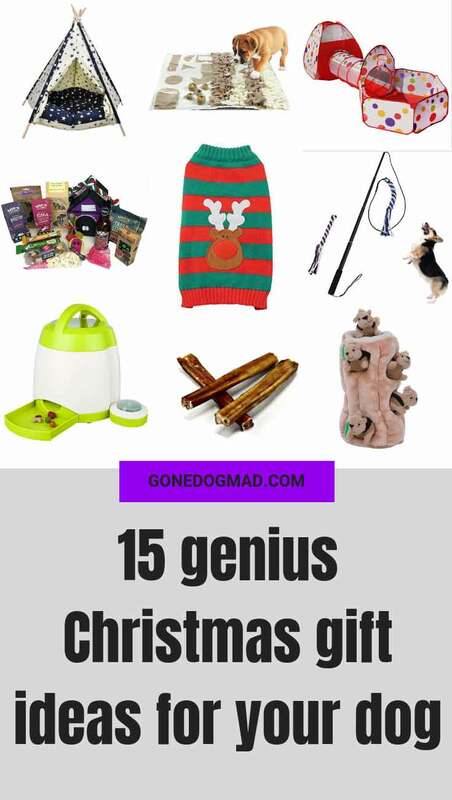 What great ideas for gifts for dogs. There are quite a few you shared that would be great for cats. I’d love to try the bubble machine with the girls. Glad you liked them! Absolutely, there’s a few there that would definitely be suitable for cats. I find some cat and dog toys are pretty versatile. Some of Loki’s favourites are cat toys, although she does tend to destroy them pretty quickly. She has a blast while they last! OMD this list is epic. That ball pit has my dog’s name written all over it. I need to investigate that when the weather is nicer and we can take it outdoors. Thanks Carol! Glad you liked it. I’m already waiting for the weather to warm up again – the ball pit would be perfect for the garden.